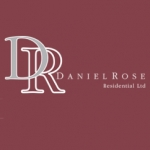 Welcome to Daniel Rose Residential Ltd, we are letting agents in Islington covering parts of North and South London. We have over 16 years' experience in providing Lettings & Management services in Islington, Highgate, Kentish Town, Camden, Regents Park, St Johns Wood, Hampstead, Belsize Park, West Hampstead, Angel, Highbury, Finsbury Park, Archway, Finchley, Clerkenwell & Holloway. If you have a property to rent or sell please Contact Us for a Free Property Valuation.